TFL currently have an exhibition on about the current and forth coming upgrades to various Tube lines. They just happened to host it in a station that’s been closed since 1994 that geeks like me would love to have a look inside. What a clever ploy. 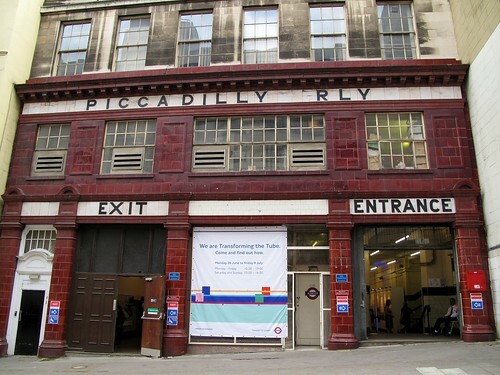 The station in question is Aldwych (formerly Strand before Charing Cross was renamed Strand for a while, all very confusing). Since closing it has been used for filming, training and private hires. The exhibit takes up the majority of the ticket hall; the platform level was off limits. The info on display can be seen online anytime, I was there to take a poke around. 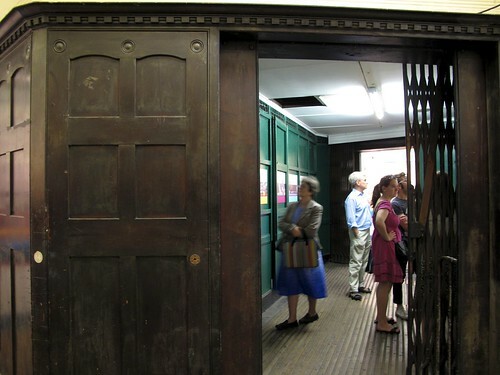 The Surrey Street entrance and exit. 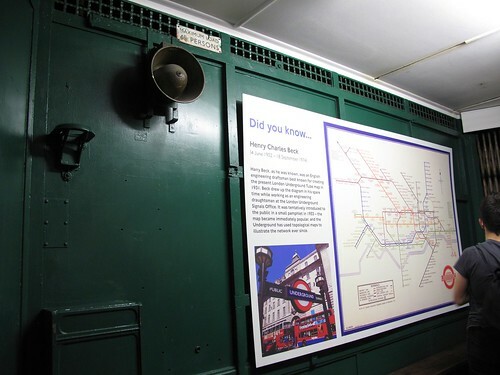 Interior of the original 1907 lift, the only one left on the network. 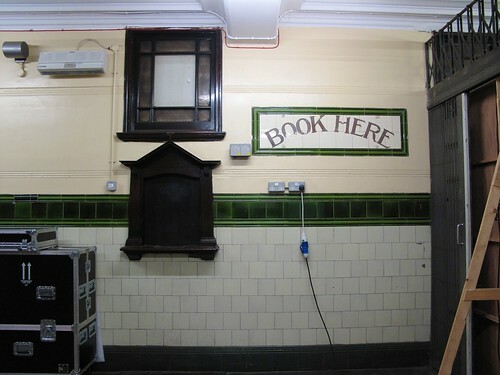 Booking hall found behind some temporary hoardings. 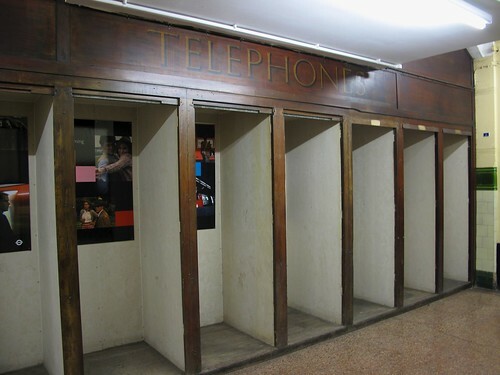 Phone booths, also behind the hoardings. There’s a few more photos to see over at Flickr.